Why Don't Overdose Patients Get The Medicines That Could Save Their Lives? : Shots - Health News An overdose is a wake-up call for many people with addiction. So why aren't patients being offered medications that could keep them from looking for the next dangerous hit of drugs? Yvette and Scott, both recovering heroin users, now take methadone daily from a clinic in the Southend of Boston. More than 115 Americans are dying every day from an opioid overdose. But a study out Monday finds that just three in 10 patients revived by an EMT or in an emergency room received the follow-up medication known to avoid another life-threatening event. The study, published in the Annals of Internal Medicine, followed 17,568 patients who overdosed on opioids between 2012 and 2014 in Massachusetts. It looked at survival rates over time and whether or not patients received medicines that treat addiction. 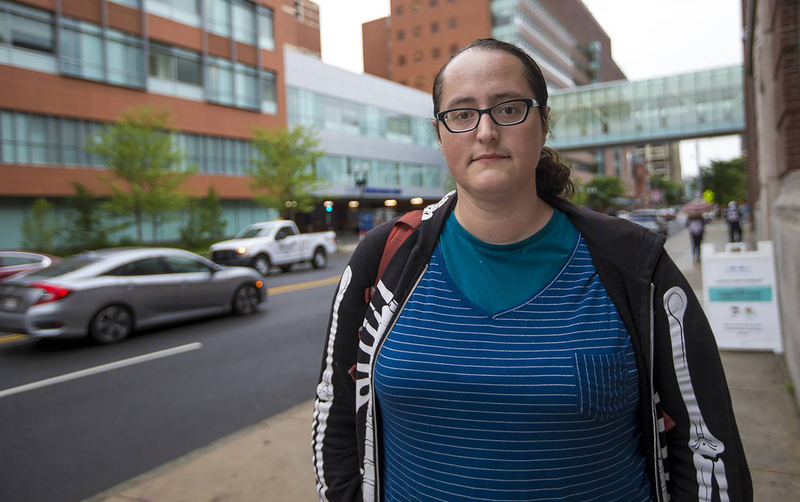 Of the patients who did receive medication, 17 percent took buprenorphine, known by the brand name Suboxone, for roughly four months. They had a 40 percent lower death rate after one year, as compared to those who did not take any medication. The results for the 11 percent of patients who took methadone were even stronger: They cut their death rate by 60 percent. Buprenorphine and methadone both reduce the urge to get high on powerful street drugs which can lead to another overdose. A small percentage, 6 percent, of patients were on the opioid blocker, naltrexone (brand name Vivitrol), but often for just one month. Researchers were not able to determine how many patients were taking the generic, pill form, daily as compared to a monthly injection of Vivitrol. Patients who took naltrexone were no more likely to be alive after a year than those who were not offered or did not take a medication. "The stunning finding here is that we have effective treatments for people who survive an overdose but only three in 10 are getting those medications," says Dr. Marc Larochelle, the study's lead author. For some perspective, Larochelle mentions the routine recommendation that patients who've had another life threatening event, a heart attack, take aspirin. "The mortality reduction we see with these drugs is similar to giving someone who suffers a heart attack aspirin — it's one of the most effective treatments we have in medicine," says Larochelle, who's a primary care physician and researcher at the Grayken Center for Addiction at Boston Medical Center. Aubri, a Boston resident who has used heroin, overdosed last year and says she was not offered any treatment. But he points to a big difference: 98 percent of people in this country get aspirin for a heart attack. The gap in care is similar to findings from a 2015 study from the U.K., but this is the first to follow U.S. patients seen in a hospital or by EMTs, says Dr. Nora Volkow, who directs the National Institute on Drug Abuse. "A great part of the tragedy of this opioid crisis is that, unlike in previous such crises American has seen, we now possess effective treatment strategies that could address it and save lives," Volkow wrote in an accompanying editorial. "Yet tens of thousands of people die each year because they have not received these treatments." Some things have changed since the 2012-2014 period of this study. A growing number of physicians are getting the waiver required to prescribe buprenorphine and the number of patients they can manage has increased from 100 to 275. That includes emergency room physicians who until recently have not offered buprenorphine to overdose patients. A bill that has wide support in the Massachusetts legislature would require that all acute care hospitals offer the medication in the ER and offer follow-up care. In some places, hospitals are opening walk-in clinics and in Boston, there's a mobile van that take buprenorphine prescribing to the streets. Phill and Deana are in treatment for heroin addiction. Phill says he found a sense of hope with the Suboxone treatment he gets at The Boston Health Care For The Homeless Program. 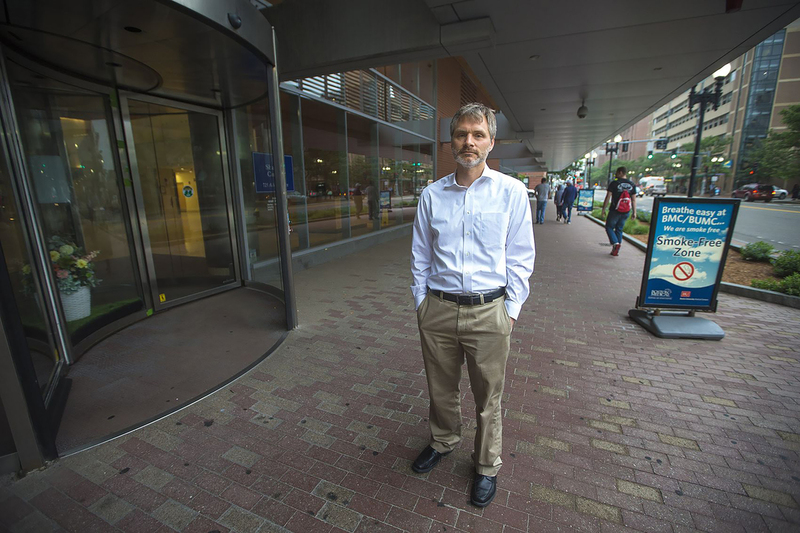 To understand why so few patients get methadone or buprenorphine, one need only cross the street from Boston Medical Center where Larochelle works. There are clinics that offer both drugs, and there's a needle exchange, focused on harm reduction for drug users who are still in active addiction. In the early morning hours, some men and women were lining up for their daily dose of methadone, while others were starting their day with a shot of heroin or fentanyl. Scott, a 38-year-old from Lowell, Massachusetts, says he's overdosed three or four times, but wasn't offered Suboxone, a brand name for buprenorphine, until after his third overdose. Scott says he has abused Suboxone. It and methadone are both opioid-based medications. Taken as directed they block cravings for something stronger without making the patient high. But with Suboxone, some people take extra doses to get high, or layer it with alcohol or other medications, Scott says. Few doctors are trained to or have experience managing such complex addictions. Scott says he can "understand why they're reluctant to prescribe stuff" like Suboxone. Scott switched from Suboxone to methadone within the last year. Unlike Suboxone, which patients can get from a primary care doctor, during routine medical care, methadone is tightly controlled, typically only available at designated clinics. Scott says he prefers methadone because he doesn't take anything out of the clinic that he could abuse. "There's a perception that people aren't 'clean' unless they're abstinent from all substances and that plays into keeping people away from medication treatment, which is the most effective treatment," says Aubri, who used to be dependent on heroin and has overdosed in the past. She is on methadone and says it works for her. But Aubri says the way methadone is delivered is demeaning. "It feels like a jail," Aubri says. "There's literal bars across the gates that don't open 'til a certain time. There's security guards. no one wants to be there. The only reason people go is because they need it." Dr. Marc Larochelle is a researcher and a clinician who often prescribes buprenorphine at Boston Medical Center. "They treat us like crap," says Deana, as she hugs her husband Phill. "We're not like this because we're bad people, you know." Deana and Phill have many stories about feeling mistreated in hospitals. But Phill is having the opposite experience now, taking Suboxone, through a clinic at the Boston Health Care for the Homeless Program. "They give you the counseling, the therapy, it's like a family," says Phill. "They make you feel welcomed and loved and give you that sense of hope that I can have a drug free life. I don't have to use." Even at just 3 in 10 patients, Massachusetts was likely offering more opioid medication treatment than many states as of 2014. That's because 97 percent of the state's residents have health insurances, the highest rates in the country. In many parts of the U.S., it's difficult to find someone who will prescribe a patient methadone or buprenorphine. "We just still have overwhelming stigma for patients with the disease of addiction," says Sarah Melton, a professor of pharmacy practice at East Tennessee State University. Larochelle worries that patients, as seen in this study, are still not staying on treatment for more than a few months. "We need to reevaluate how we're providing the care and make sure we can keep people there when they're there," Larochelle says. Dr. Volkow is alarmed by one other finding: 34 percent of patients receive at least one prescription for an opioid and 26 percent were prescribed a benzodiazepine during the 12 months after their overdose. "This indicates that guidelines cautioning against prescribing opioids and their co-use with benzodiazepines are not being followed," Volkow writes.